Some of the modes are IOS only or Android only. However, the most important and useful mode of Litchi is the Waypoint function which is fully developed in both IOS and Android. Litchi does not replace the DJI Go App, rather it extends upon it. In terms of workflow, I started up my Phantom with the DJI Go App and then, after GPS lock and warmup, switched to the Litchi App. Once in Litchi missions can be programmed – however, to run the missions the 3-way selector switch on your Remote must be changed to F (Function) mode. To terminate or abort a Litchi mission, simply move the 3-way selector switch back to P (GPS). The main advantage of Litchi is the ability to set up complex missions which are run autonomously (scripted) without having to be either at the flying site or to have the Drone operating. This differs from the functions built into the DJI Go App which are only available to you when you are actually flying. As an example, I sat in my home and used Litchi to create a test waypoint mission which I intended to fly the next day. The following screen shot shows the setup of the mission which was created and then saved. As with all autonomous missions you should have a good basic understanding of maps, GPS, elevations, etc. and keep your Drone away from trees, building, utility poles, towers and other obstructions. In addition, you should always keep your eye on your Drone during the mission and prepare to quickly abort if anything goes wrong. The simplest of missions can be set up by drawing a line on the maps screen on Litchi. Litchi will fill in the waypoints needed to make the turns and use a default height (you set it in settings) for the altitude of the mission. After drawing the line you can change the height of each waypoint or of the entire mission globally. Litchi gives you various options which you can choose at each waypoint and at the finish – for the first missions I simply let the Phantom come back to near where I was and had it hover in the air at the final waypoint. On my second flight I was confident enough to program it to land at the end of the mission. By the third flight I was programming a Point of Interest – which allows the Phantom to fly a waypoint mission while keeping the camera focused on one (or multiple) objects. A screenshot of a POI waypoint mission is shown below…the barn, in this case, is the point of interest. A video with samples of all of the missions is at the end of this article – or you can visit it directly via this link to Vimeo. The Orbit function allows pilots to circle a chosen point with the camera facing toward the center. As with the waypoints this function can be pre-programmed on a map screen before the orbit mission is run. Orbit provides a number of options such as the speed, rotation direction, height and more. Orbits can only be started with your Phantom already in the air (a safety measure) and then only after you switch to F (function) mode. Orbit will continue to circle your target until you terminate the mission by moving your 3-way mode selector switch back to P-GPS. Litchi is most definitely worth the price – it is a powerful piece of software that greatly extends the capabilities of the DJI Go App. However, with great power comes great responsibility. The ability to fly further and pre-plan missions will surely cause some pilots to lose their precious drones and/or possibly endanger the public. If you are relatively clueless when it comes to topography, GPS, mapping and the other factors involved in pre-planning of missions you are better of staying with the safer stock GO App. 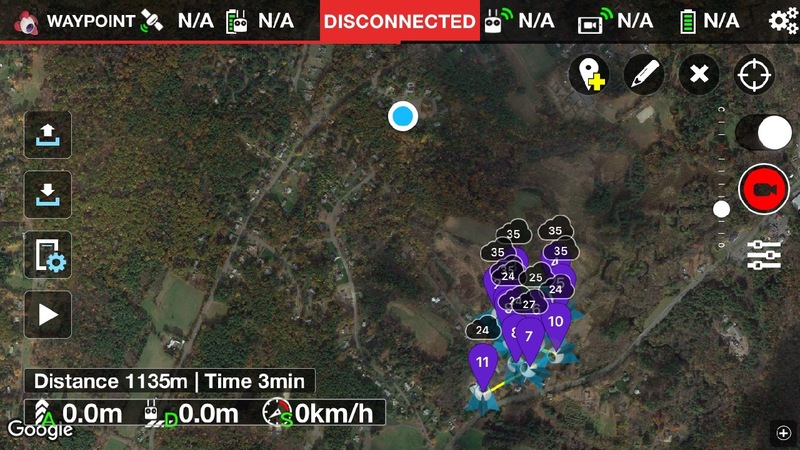 As as example, to use Litchi properly you need to be able to accurately guess the height of trees, buildings, hills and other obstacles that may be in your flight path. In most cases the height needs to be guessed based on the Home Point of your Phantom or Inspire. This means if you set a mission for 30 meters in height and the ground rises up in the direction of the mission, you are very likely to hit a tree, a building or the earth itself! 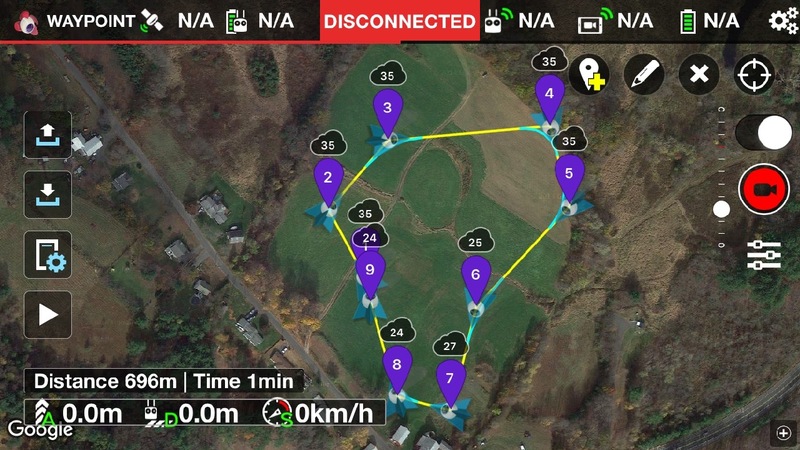 If you do decide you are ready for Litchi or other autonomous apps, take some time to practice in an open flat field so that you understand all the implications of pre-programmed flight. Note – this article is still a work in progress however has been posted so that the existing information is available. A forum continuation thread discussion/additions on this video is here – or, help out by leaving Facebook comments below.